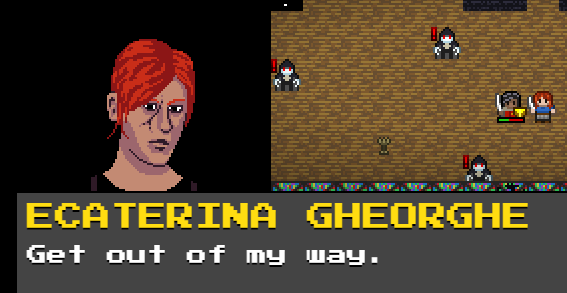 Golden Krone Hotel is a gothic roguelike about switching between vampire and human form. While human, you can cast powerful spells and you regenerate health. While vampire, you are stronger, faster, can see in the dark, but have to constantly hunt for blood to shore up your dwindling health. And all vampires are vulnerable to sunlight. 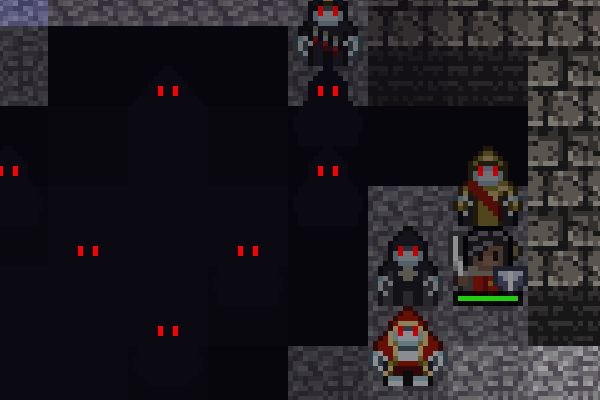 It being a traditional roguelike means: turn based, permadeath, and difficult. Though I have tried to make the UI user friendly and to make the mechanics pretty straightforward. 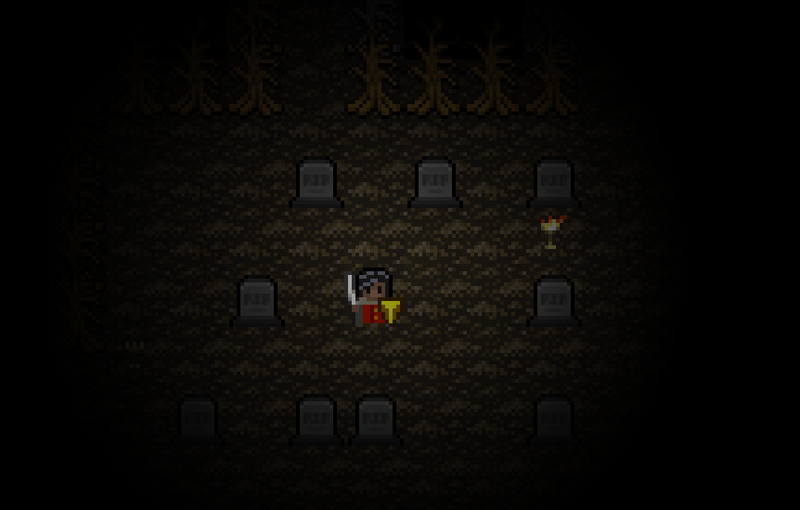 GKH started in March 2014 as an entry to the 7 Day Roguelike challenge. It was pretty well received at the time (rated 11th out 134). In early 2015, there was a push in the roguelike community to get more games on Steam. After some thought, I decided to go for it. I've wanted to make games for a long time and have never been able to stick with the same project. Even if the game doesn't make it to Steam, I want to make a fully polished game and release it! Summer 2015 has been focused primarily on revamping the graphics to appeal to a wider audience. Here's the changelog for my first release in 7 months, which I put out this weekend. New monsters 2: toadstools, skeletons etc. Lately, I've been taking a break from features to focus on performance. Golden Krone Hotel is an HTML5 game so there have been some interesting challenges. I've been working on a HALLOWEEN release. I am pretty happy with even the small stuff like Jack o Lanterns instead of torches. New branch, new classes, new monsters, etc. Golden Krone Hotel has been Greenlit! -Never got into top 100, but recently was fluctuating between 60-80% of the way there. How in the world do you get on steam when two thirds of voters did not want your game on steam? I'm not saying I don't think you should be on steam, but these numbers confuse me. I don't think it'd be at all surprising to see that a game could sell with most people not wanting it. That's what a niche is, no? There are thousands of games on steam and your average user has not bought and has no intention of buying 99% of them. Of course, we know voting Yes is not actually equivalent to a true declaration that someone would buy a game. And I will freely admit that many games get much higher stats. Of course, they usually have large teams, marketing budgets, and are full timers. I don't think numbers like mine are unusual though. I've heard similar or worse ratios (and lower votes) on several post mortems. Ultimately, someone at Valve had to make a decision that these numbers were satisfactory by whatever metric they decide these things on. Well I'm glad that niches are taken into account on greenlight, your game looks rad. I've actually been contacted by blackshell in the past, glad to see I made the right call in turning them down. I've seen their previous "marketing" efforts on games and it amounts to a ridiculous amount of spam. It may work to get eyeballs on something, but it sure as hell pisses people off. On principle I would never touch a game they market. It's inspiring to see other roguelikes making it onto Steam, it gives me hope! This is looking great so far. What are your planning next for the project? Well, I haven't dug into all the paperwork and formalities, but I have to do that. I've been debating whether or not to do Early Access. After polling some people, discussing it with other have been through EA, and reading the latest SteamSpy article, I've decided it's probably the right choice. Just seems like a really good way to balance the game, get community feedback, and potentially fund additional music/art for the final launch. I'm probably still several months away though. I've got the milestones posted at the top of the thread. That's mostly accurate but I'm going shift gears a bit to focus on getting the game more polished and user friendly before EA. Things like tooltips are a high priority. There's a roguelike developer community on reddit. It's really quite nice. They're running a (bi? )weekly event called Feedback Friday where developers share their WIP roguelikes for critique. Today is Golden Krone Hotel. Feel free to join. 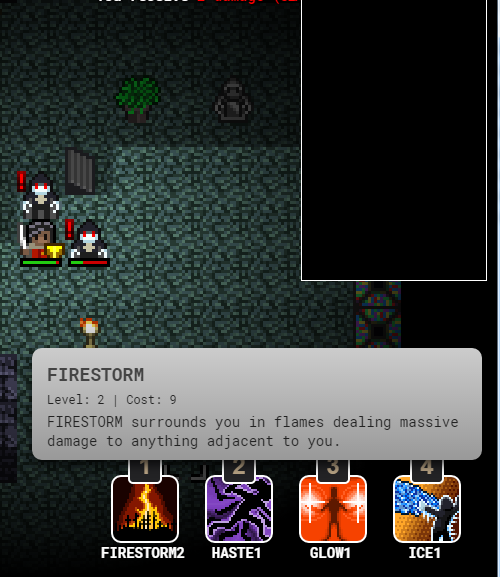 Added some spell icons and tooltips on the most recent version, v.0.2.4. I'm hoping to pick up more steam when I finish my master's degree in a few weeks. I really should post here more. I'm coming up on the EA release. I'm shooting for Halloween for obvious reasons. I'm starting to seek out a few testers. If this game looks like your thing and you're on Windows and have steam, let me know. This is beautiful. Great write up on the blog also. Thanks! Now only if the rest of the game looked as good. Golden Krone Hotel launches on Steam Early Access on October 25th. Let me say that working with a musician is a night and day difference for making a trailer. I've been doing some small scale testing and testers have pointed out a few usability issues that I've fixed. Other than that, I haven't seen many bugs. The game is missing a lot of what will be in the full release, but that's why it's going into EA (it's still totally playable and beatable of course).